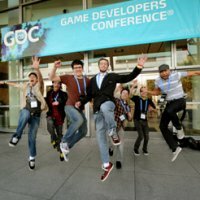 Organizers of next March's Game Developers Conference 2010 in San Francisco have revealed keynotes and first sessions for Summits, with notables including Facebook's Gareth Davis (Social & Online Games Summit) and Spider's Randy Smith (Independent Games Summit). Taking place March 9-10th, the GDC Summits highlight the leading edge of game development in emerging and notable areas including; iPhone Games, Social & Online Games, Game Localization, Mobile/Handheld Games, Independent Games, Artificial Intelligence and Serious Games. Of the major Summits, Facebook's platform manager Gareth Davis will deliver a keynote at the newly formed Social & Online Games Summit titled 'How Friends Change Everything'. It will discuss Facebook's massive disruption in who plays games, as well as how games are best discovered, distributed, designed and monetized on the service. Alongside these notable announcements, all of GDC's market-leading Summits have announced initial lectures, with a large number of new speakers and topics now confirmed for the event. "We're thrilled by the content already programmed for this year's summits at GDC 2010 and there is so much more yet to come," said Meggan Scavio, GDC event director. "Like last year, the summits are an outlet to explore the emerging segments of our industry and these keynotes highlight exactly that mission." GDC 2010 as a whole returns to San Francisco on Tuesday, March 9 through Saturday, March 13, 2010 for five days of lectures, panels, summits, tutorials and roundtable discussions on the most comprehensive selection of game development topics taught by leading industry experts. Alumni registration for the show ends December 22, 2009 and Early Bird rates end February 4, 2010. For more information about the 2010 Game Developers Conference, including the eight summits, visit the official Game Developers Conference 2010 website. GDC Bosslady Blog: Alumni Alert!